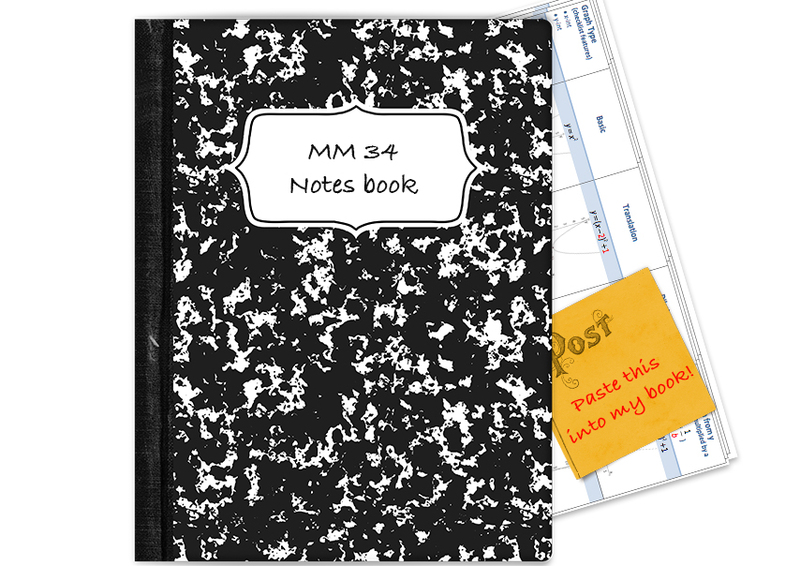 [FREE DOWNLOAD] The Easy-to-Follow Graphs Template that Every MM Student Needs to Include in their Notes Book. This three-page graphs summary will ensure you’ll never be lost knowing which graph is which and how to transform them ever again. Yep, I'll want a copy of that! Graphs underpin everything we do in MM - this summary has everything you need to know about graph shapes and how to link the given transformation to the equation and then to its effect on the graph. Do you know the ins and outs of every graph and equation you are presented with? All 7 graph shapes that are assumed knowledge for MM34 students have been laid out in this easy to read table. If you're a visual learner, you'll love being able to flip quickly to these pages and sketch the diagram required to interpret almost any basic graph question posed. Are you frustrated from losing marks for the little things? Don't ever drop such a mark again - the key features that you MUST include in your graphs in order to gain full marks are provided. I'll tell you exactly what you need to show and how to use the equation to find the answer you're looking for. Transformations, including the effect of a dilation on an already translated graph, are clearly shown. Without going into a complicated explanation, I'll show you which part of the equation affects which part of the graph. I'll also show you how a dilation affects an already transformed graph.